Cologne have been punished for crowd disturbances, setting off fireworks and throwing objects. Email “Arsenal escape punishment as Cologne fined €60,000 for fan trouble”. 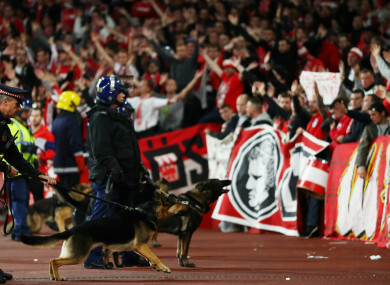 Feedback on “Arsenal escape punishment as Cologne fined €60,000 for fan trouble”.